Dried figs are nutritious and contain the minerals calcium, potassium, magnesium, iron and also fiber. Choosing: When choosing fresh figs, select those which are plump and tender, have a rich, deep colour, are free from bruises and are not mushy. 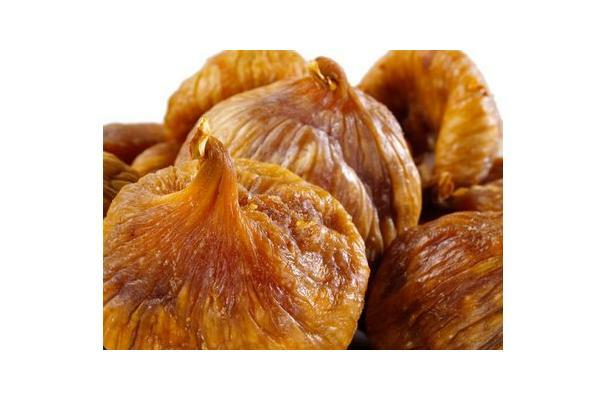 Buying: Dried figs are widely available at most supermarkets and health food stores. Figs tend to be more popular in their dried form because fresh figs are very delicate and tend to deteriorate quickly.Add figs to baked goods such as muffins, cakes and muesli bars. Add dried or fresh figs to porridge, oatmeal or breakfast cereals. Poach figs in red wine or fruit juice and serve with Greek yogurt or creme fraiche. Add quartered fresh figs to a salad of fennel, rocket and parmesan cheese. Stuff fresh figs with goat's cheese and chopped almonds and serve as an appetizer or dessert. Make a fig butter by boiling dried figs in fruit juice until soft. When all the liquid has been absorbed, place the mixture in a food processor and blend until smooth. Use to spread on rice cakes, toast or crackers. Add chopped fresh figs to rice, quinoa or couscous dishes. Cleaning: Wash figs before consuming under warm running water. Ripe figs should not be washed until ready to eat and should be kept covered and refrigerated, where they will remain fresh for approximately two days. Unripe figs should be kept at room temperature and out of direct sunlight. Figs grow on the ficus tree (Ficus carica). Native to the Middle East, figs were one of the first fruits ever to be cultivated. Currently, California ranks third in the world in fig production after Turkey and Greece. History: The edible fig is one of the first plants that was cultivated by humans. Nine subfossil figs of a parthenocarpic type dating to about 9400–9200 BC were found in the early Neolithic village Gilgal I (in the Jordan Valley, 13 km north of Jericho). The find predates the domestication of wheat, barley, and legumes, and may thus be the first known instance of agriculture. It is proposed that they may have been planted and cultivated intentionally, one thousand years before the next crops were domesticated (wheat and rye). Figs were also a common food source for the Romans. Cato the Elder, in his De Agri Cultura, lists several strains of figs grown at the time he wrote his handbook: the Mariscan, African, Herculanean, Saguntine, and the black Tellanian (De agri cultura, ch. 8). The fruits were used, among other things, to fatten geese for the production of a precursor of foie gras.